Buying a new motorcycle helmet can put a serious dent in your wallet, and it’s especially frustrating to fork over the cash when your current model still looks as good as new. While the overall quality of your helmet and how well you care for it play a role in its shelf life, below are a few reasons to consider replacing your motorcycle helmet. 1. You were involved in a crash. Motorcycle helmets aren’t designed to withstand multiple crashes, and structural issues aren’t always obvious. 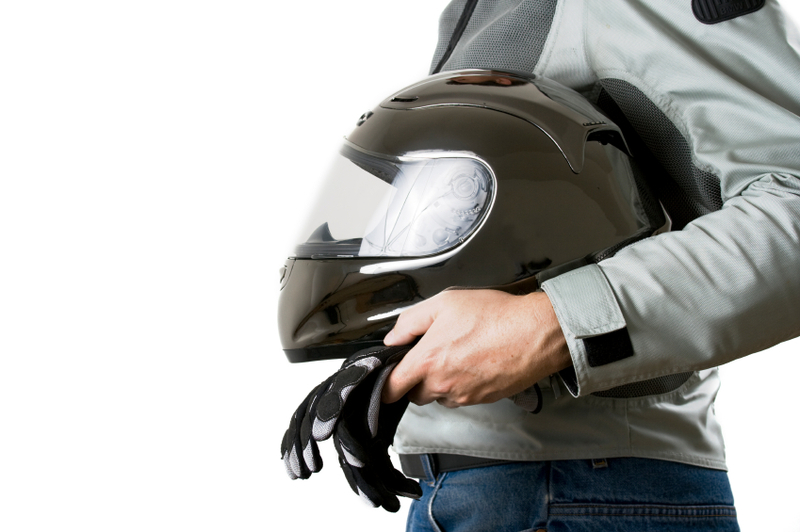 Even a minor crash can cause irreparable damage to your helmet that could put you at risk on the road. Replace your helmet after any incident that results in a head or neck impact, and have your helmet inspected by a professional even if you don’t think it made contact with the ground or another object. Some sources also recommend an inspection if you’ve dropped your helmet. 2. Your helmet is more than 5 years old. According to the Snell Memorial Foundation, five years is the industry standard for motorcycle helmet replacement. Over this course of time, most helmets will be worn enough to justify a replacement, and improvements in safety, design and production will offer added benefits to upgrading. Your helmet’s manufacturing date can usually be found on the chinstrap or a permanent label. 3. You slacked on maintenance. Every helmet will suffer typical “wear and tear” over time, but many factors related to the care and storage of your motorcycle helmet can cause the materials to break down more quickly. Carefully choose the products you use to clean your helmet and avoid storing it in places where it will be exposed to fluctuating temperatures to help prevent this type of damage. The price of replacing your helmet may be high, but riding with a faulty helmet could cost you your life. When it does come time to shell out the money for a new one, focus on models featuring technology and safety upgrades, better ventilation and more comfortable designs. When was the last time you got a new motorcycle helmet? If you can’t remember, it’s probably time to start shopping.